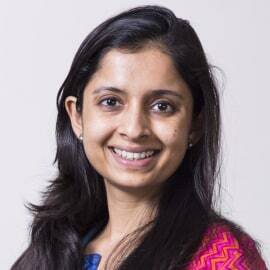 Ishira Mehta is the co-founder of CropConnect Enterprises Pvt. Ltd. , a company that has been building market based models to connect farmers to markets more efficiently since 2013. Over the last 3 years, Ishira has travelled over 80,000 kms across 21 states to meet and work with farmers. In 2015 she launched an initiative called the Original Indian Table that aims to bring traditional food experiences to urban customers who are looking for more healthy, nutritious and local alternatives. Prior to starting CropConnect, Ishira worked at the International Finance Corporation (IFC), the private sector arm of the World Bank Group for over 6 years where she worked on multi-million dollar sustainable supply chain projects in the agriculture, forestry and extractive industries in India and Africa and also led IFC’s work in the social enterprise sector in South Asia. She has also worked with SEWA (Self Employed Women’s Association) on slum development. Ishira has a MPA in International Development from Harvard Kennedy School and a M.Sc. in Comparative Politics from the London School of Economics (LSE).